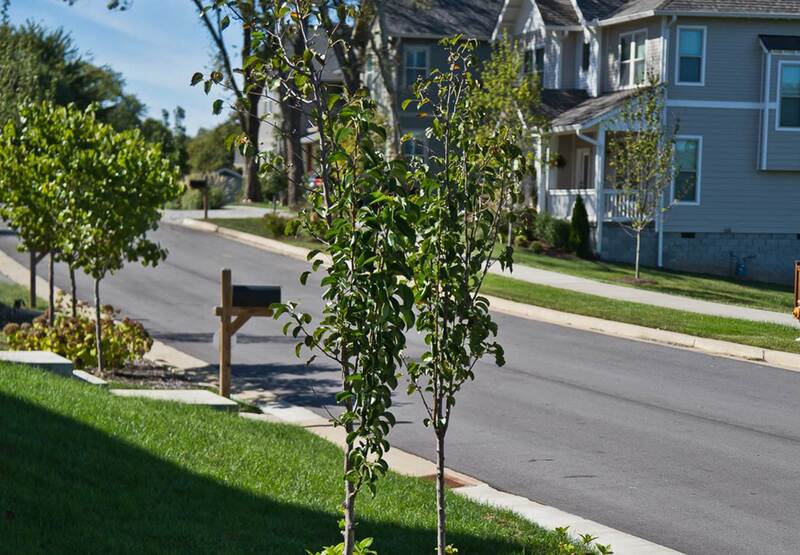 Nashville's first "green" neighborhood is a single family residential cul-de-sac in East Nashville. This 15-home infill subdivision may look ordinary, but its low impact amenities are far from the norm. We're proud to be at the cutting edge of the green street design movement. In 2010, we were charged with designing something unique to Middle Tennessee. 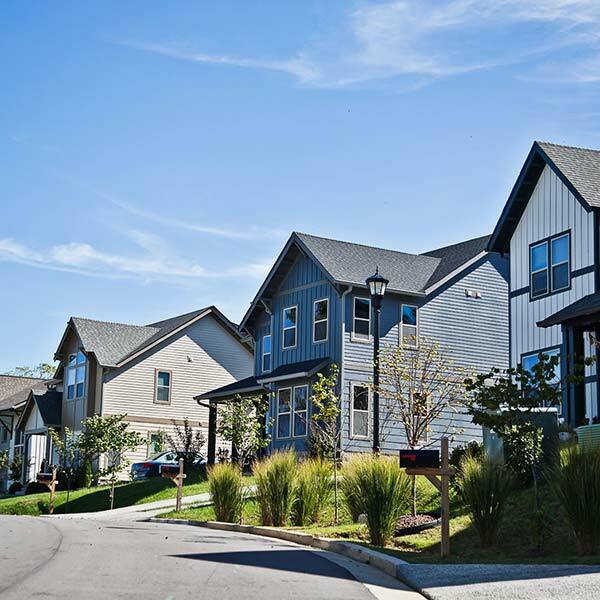 Working with Woodland Street Partners, we were approved for a Specific Plan-Residential permit to bring the first neighborhood of this kind to East Nashville. One of the biggest challenges we faced with this project was site topography. Greenside Place was to be a single street that ran up a hill. 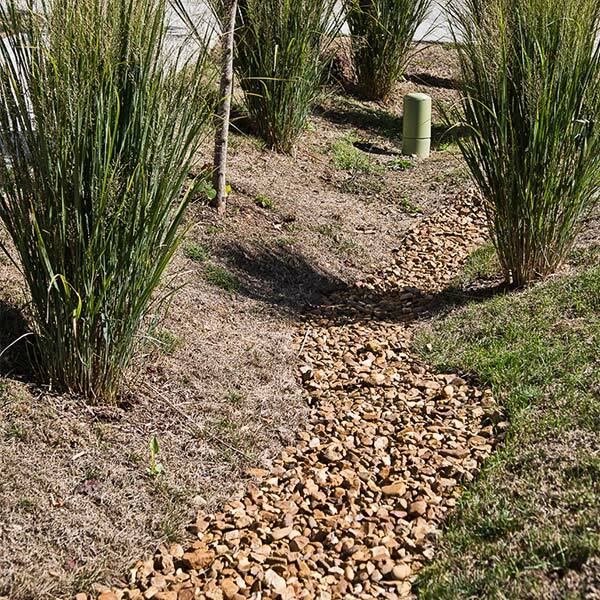 We needed a way to control erosion that is low-impact, sustainable, and efficient. Additionally, the developers sought to build high-end, high-efficiency homes while keeping costs low. We needed to incorporate green features throughout the entire neighborhood that wouldn't significantly increase construction costs. 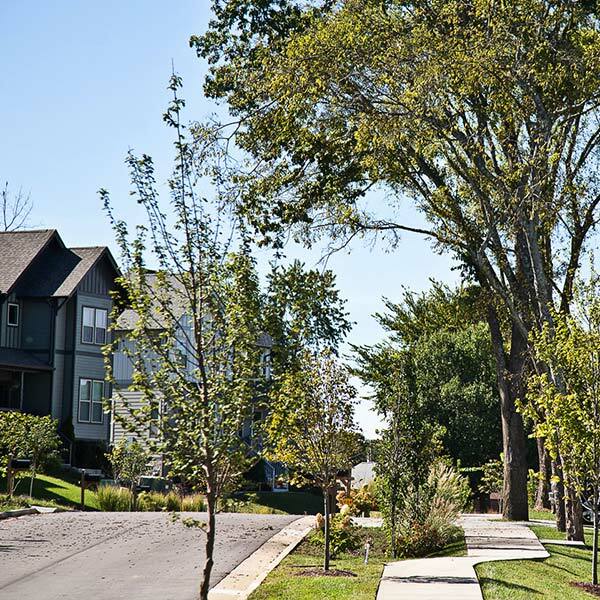 We worked closely with the city engineers and officials of Portland, Oregon to design Greenside Park. The team in Portland has perfected the green street design concept, so we wanted to learn from the best. 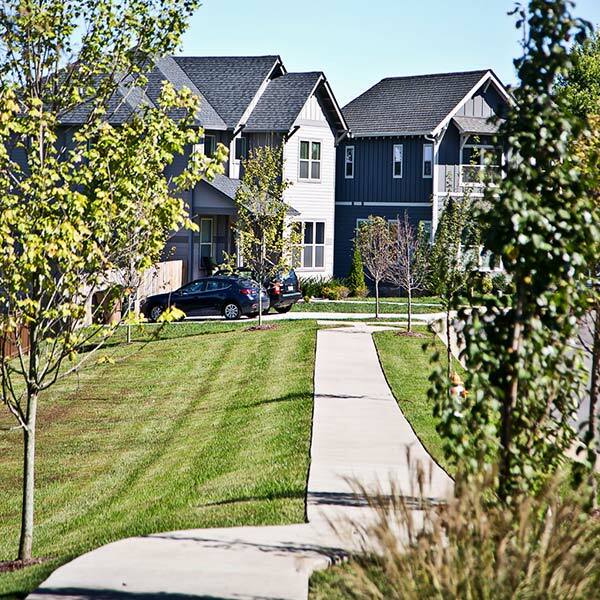 To control ground water runoff, we avoided the use of standard concrete for driveways and strategically placed all sidewalks. Instead, the houses have pervious concrete driveways—many of them shared—to introduce ground water recharge and infiltration. 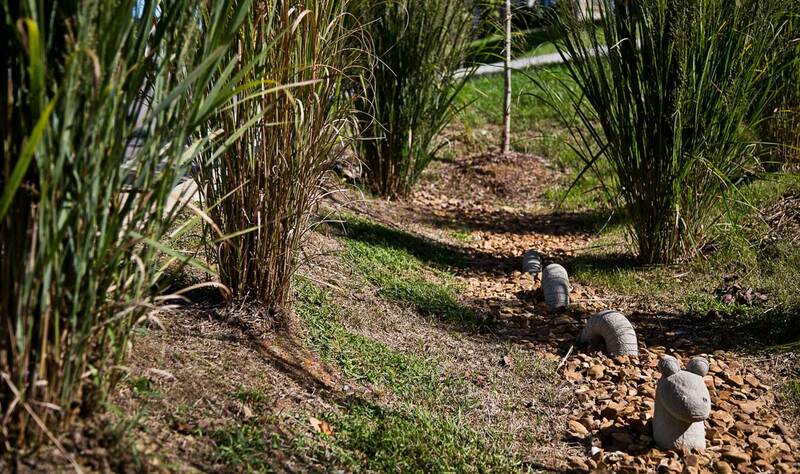 Additionally, we installed twelve individual rain gardens (nearly one per lot!) that reduce runoff and increase water quality. We found cost-effective, easy solutions for water conservation that would benefit the neighborhood. Rain barrels capture rooftop runoff to irrigate yards and the neighborhood's community garden. 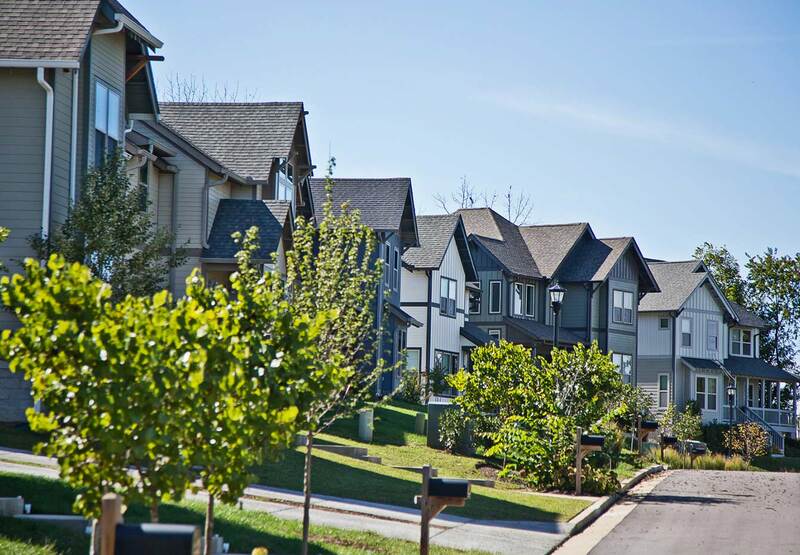 Today, Greenside Park is a community of beautiful homes that serves as a model for eco-friendly development in Nashville. 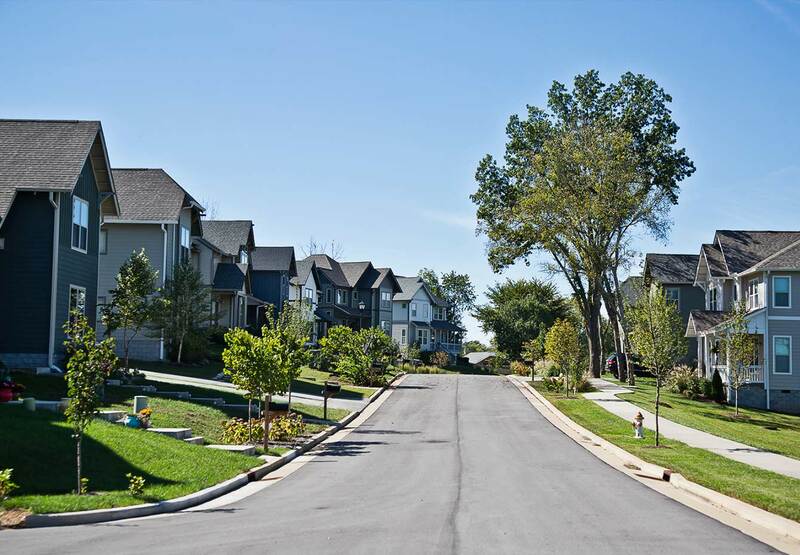 Each home has a 3.0 Energy Star certification and is equipped with tankless water heaters, innovative insulation, and other sustainable features that lesson energy usage. 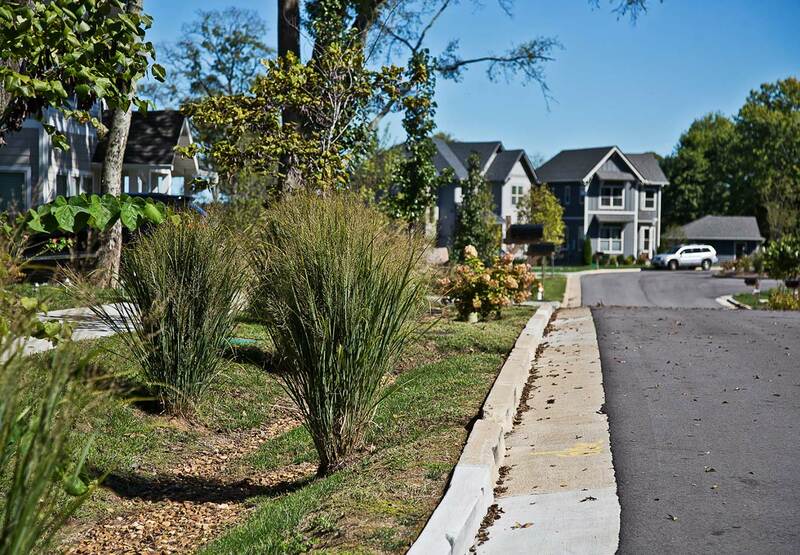 Greenside Park is a new way of thinking green in Nashville.